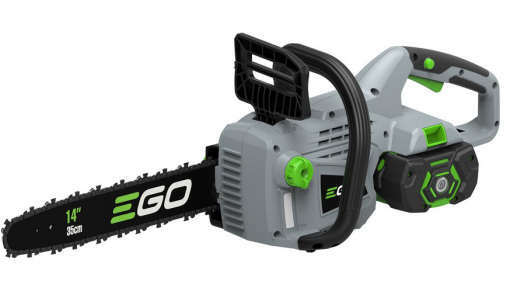 Ego Cordless Chainsaws, leaf blowers, trimmers, lawn mowers and hedge cutters for sale Northern Ireland. Ego Cordless Chain Saws, leaf blowers, trimmers, lawn mowers and hedge cutters. Call us on 028 (from ROI 0044 28) 302 66665 for information on all our machines for sale. Ego Cordless Chainsaw CS1400E / CS1401E 14 inch bar. Battery size 2.0Ah - Up to 100 cuts / 4.0Ah - Up to 220 cuts / 7.5Ah - Up to 450 cuts. Up to 450 cuts with 7.5AH battery. Quick Chain Tensioning - no tools needed. Comes with a 2.0Ah battery and standard charger. Ego Cordless Chainsaw CS1600E 16 inch bar. 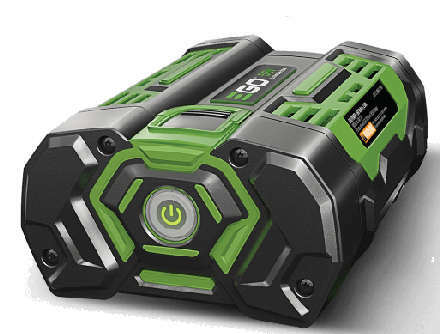 Battery size 2.0Ah - Up to 100 cuts / 5.0Ah - Up to 300 cuts / 7.5Ah - Up to 450 cuts. Ego Cordless chainsaws - reputation for quality . The EGO Power+ chain saw is built tough to tackle even the hardest jobs. Trunks, logs, branches, nothing gets in its way. The tool-free chain tensioning makes set up and adjustment simple. Check the lubrication level through the oil inspection window and you are ready to go. It really cuts it when it comes to safety too. The chain kickback and electric brake protect you while you work. And the auto-lubrication system keeps the chain spinning freely at all times. Plus with the EGO Arc Lithium 56v battery delivering such an impressive run time and incredible power on a single charge, it will keep you working cut after cut after cut after cut. 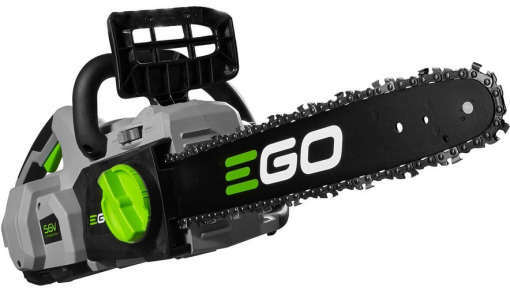 Ego Power Chainsaws web site here. Ego Cordless Leaf Blower LB4800E - body only. Maximum air flow m3/h : boost mode = 810 / high mode = 650 / low mode = 420. Battery size 2.0Ah - Up to 60mins in low or 18mins on high or 10mins on boost. Battery size 5.0Ah - Up to 150mins in low or 45mins on high or 25mins on boost. Battery size 7.5Ah - Up to 225mins in low or 70mins on high or 35mins on boost. Variable speed with turbo boost. £139.00 for Body only - no battery or charger - see battery and charger prices below. Ego Cordless Leaf Blower LB4801E - full kit. With Battery size 2.0Ah - Up to 60mins in low or 18mins on high or 10mins on boost. With Battery size 5.0Ah - Up to 150mins in low or 45mins on high or 25mins on boost. With Battery size 7.5Ah - Up to 225mins in low or 70mins on high or 35mins on boost. Comes with a 2.0Ah battery and standard charger - Our Price £199.00 . 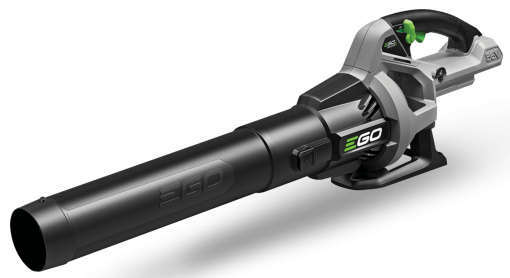 Ego Cordless Leaf Blower LB5300E - body only. Maximum air flow m3/h : boost mode = 900 / high mode = 675 / low mode = 440. With 4.0Ah battery - Up to 120mins in low or 35mins on high or 16mins on boost. With 5.0Ah battery - Up to 150mins in low or 44mins on high or 20mins on boost. With 7.5Ah battery - Up to 225mins in low or 66mins on high or 30mins on boost. £149.00 for Body only - no battery or charger - see battery and charger prices below. 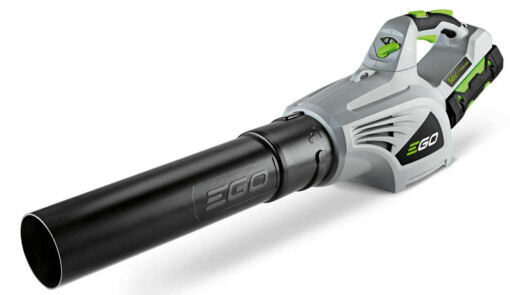 Ego Cordless Leaf Blower LB5750E - body only. Maximum air flow m3/h : high mode = 675 / low mode = 440. Variable speed - no turbo boost needed - 977 m3/h on high. £169.00 For Body only - no battery or charger - see battery and charger prices below. Ego Power Leaf Blowers web site here. Run time may vary and depend on the battery used, charge level of battery, condition of grass and user's operation technique. Ego Cordless Hedge trimmer HT2400E body only. Body only, no battery and charger (image shown is HT2401E). Double sided cutting blades with blade tip protector, length 45cm. Ego Cordless Hedge trimmer HT2401E - full kit. Comes with 2AH battery and Standard Charger. Double sided cutting blades with blade tip protector, length 61cm. Comes with a 2.0Ah battery and standard charger - £219.00 . Ego Cordless Hedge trimmer HT5100E body only 20 inch. Body only, no battery and charger (image shown with a battery installed). Double sided cutting blades with blade tip protector, length 51cm. £199.00 for Body only - no battery or charger - see battery and charger prices below. 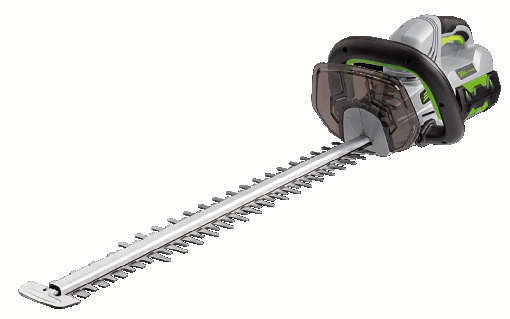 Ego Cordless Hedge trimmer HT6500E body only 26 inch. The HT6500E hedge trimmer features a long length, dual knife-edge, laser-cut diamond ground blade for precise clean cuts. The two-speed selector lets you choose the right speed for every task and the large cutting capacity means you can get to work on larger hedges with thicker branches and stems. Blade-tip protection stops damage from fences and walls. For safer working, the safety blade guard helps prevent injuries while the electric brake stops the blades when the trigger is released. The rotating rear handle allows you to adjust the trimmer to the angle that is more comfortable depending on whether you are cutting horizontally or vertically. Powered by the petrol-matching Arc Lithium 56v battery, a single charge delivers such impressive run time that you’ll be amazed at how much hedge you can cut. Double sided cutting blades with blade tip protector, length 65cm. £219.00 for Body only - no battery or charger - see battery and charger prices below. 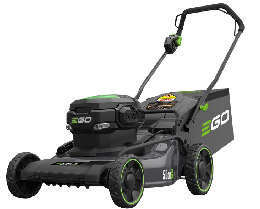 Ego Power Hedgetrimmers web site here. 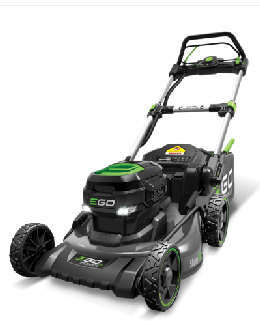 Ego Power Lawn Mowers web site here. 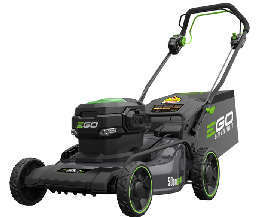 The EGO POWER Mower is amongst the most powerful rechargeable mowers on the market today. The 56-volt Lithium-Ion battery is the industry’s first, with 40% more power than the leading 40-volt battery. 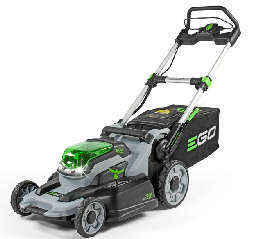 The EGO POWER Mower delivers the performance of petrol without the fumes. The 50cm steel deck push mower has comfortable operating controls mounted onto aluminium handles that fold down for easy transport and storage. The brushless motor ensures that there is ample power to fill the 60 litre grass box.. Significantly quieter than a petrol mower and with far lower service costs and zero emissions during use, the 50cm EGO Power mower features a hard wearing steel deck with a large cutting capacity. This lets you comfortably tackle any lawn in less passes, while the large capacity bag needs emptying less often. The variable speed self-propelled motor keeps you in control as you cut. Plus on a single charge our battery gives you up to 35 minutes run time. Automatic Variable Speed on selected models, delivers optimal cutting speed to maximise battery run time whilst maintaining grass cutting performance. The 3-in-1 functionality lets you bag, mulch or side discharge clippings while the LED headlights let you work further into the day. And when you’re done, the easy-fold design makes cleaning and storage simple. The 50cm variable speed self-propelled steel deck mower is ideal for large gardens. The ergonomic handles make mowing a joy while the self-propelled motor helps to save energy. The aluminium handles fold up neatly, making transport and storage compact and simple. The mower also comes with a brushless motor for greater efficiency and power. Ego Cordless Strimmer ST1211E - full kit. The EGO POWER+ String Trimmer sets a new standard for string trimmers, performing as well as or better than premium petrol-powered models. It runs on the industry first-ever 56-volt Lithium-Ion battery, with 40% more power than the leading 40-volt battery. The EGO POWER+ String Trimmer delivers the performance of petrol without the noise, fuss and fumes. 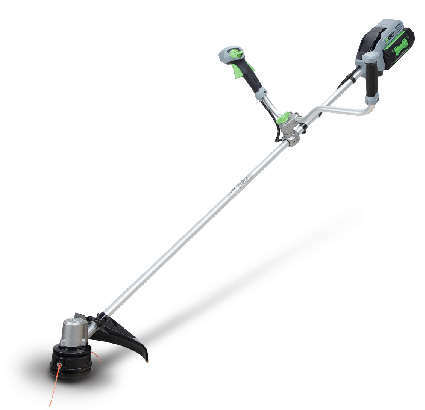 The features of the EGO POWER+ String Trimmer include: 30cm cutting swath for efficient trimming around your garden; dual-feed, spiral twist, 2mm diameter line for professional cutting power; and a bump-head trimming system with easy string replacement, just hook, wrap and go! 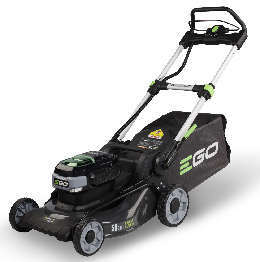 Ego power battery operated cordless trimmer - 30cm cutting width. Comes with 2.0Ah battery and std charger. 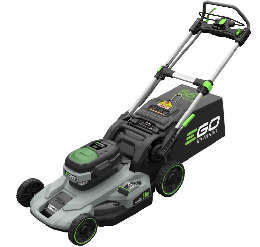 Ego power battery operated cordless trimmer - 33cm cutting width. Body only - no battery or charger see below for battery and charger options. 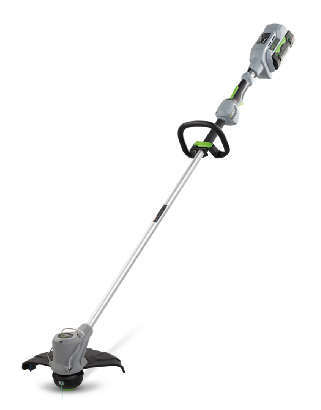 Ego power battery operated cordless trimmer - 38cm cutting width. Variable Speed - 2.4mm cutting line. 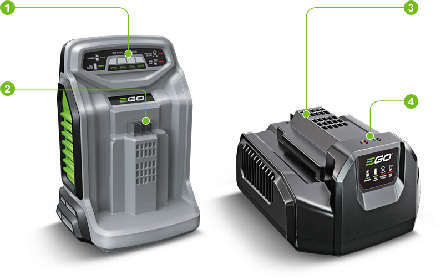 Ego Power Rapid and Standard Battery Chargers. Both chargers have an integrated Fuel Gauge: Shows how much power is left in the battery. The EGO Power rapid charger is the fastest on the market. In fact, with the rapid charger, the 2.0Ah battery takes just 25 minutes. So, with two batteries on the go, you'll have all the power you need, all day long. Ego Power 56volt Batteries from 2.0Ah to 7.5Ah. Telephone us at Newry 028 (from ROI) 0044 28 302 66665.